Balanced water is essential to comfort, water clarity, sanitizer efficiency, and the longevity of spa surfaces and equipment. A simple, one step chemical for maintaining a stable comfortable pH by helping to control pH drift. Buffers the spa water to prevent changes in the pH. Add 32oz. per 300-500 gallons of water. Raises the pH levels of spa water. Prevents surface and equipment corrosion, plaster etching, and irritaion to the skin and eyes. 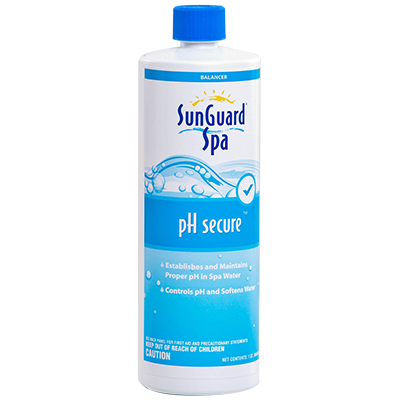 Lowers pH and alkalinity or spa water. 10 oz. 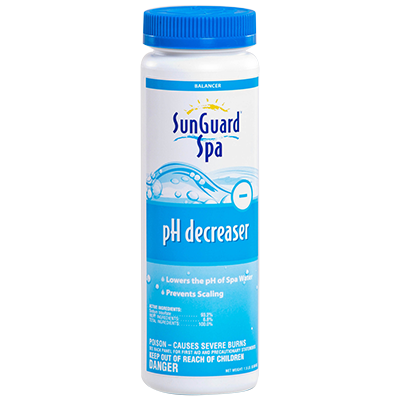 of SunGuard pH Decreaser is equivalent to 1pt of muriatic acid. A fast dissolving granular acid. Prevents scaling, calcium deposition and cloudy water. 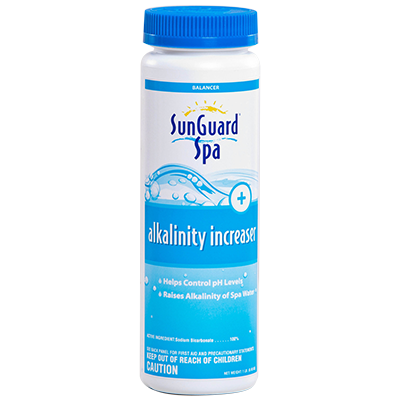 Raises total alkalinity and buffers the water against changes in pH. Total alkalinity should be maintained between 100ppm and 150ppm. 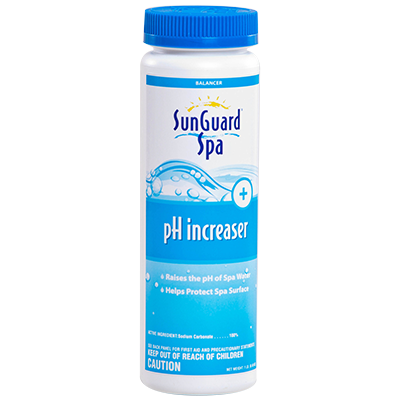 Raises the calcium hardness level in spa water. 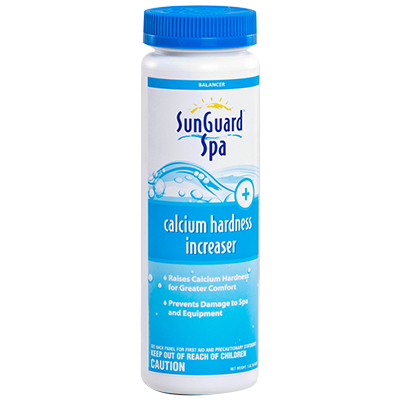 Adding 1oz of SunGuard Calcium Hardness Increaser per 500 gallons will raise the calcium hardness level by 10ppm. Prevents foaming and equipment corrosion.